NOTE: The Qlik Help Channel on YouTube has the latest and greatest how-to's for the latest releases. Don't forget about the Qlik Online Help as well. It has videos, samples, tutorials and more. Please also check out our free structured how-to modules to learn more on the Qlik Continuous Classroom. The following is a consolidated collection of videos and blog topics that demonstrate various capabilities and features that are helpful when understanding the many aspects, features, releases and core competencies of Qlik products. Qlik Sense April 2019 is now available! Hello all Qlik Sense users! I am pleased to announce that the Qlik Sense April 2019 release is now available. The Qlik Sense April 2019 release includes significant advancements to our multi-cloud capabilities - including a new enterprise SaaS deployment option, as well as additions to our market leading AI capabilities, a new Qlik Sense Mobile for Blackberry client, and enhancements to mapping and visualization capabilities. Visit the Qlik Download site! This document is a companion piece to article 000064928. It includes explanations on which API to use and how to use for Audit Purpose similar to the QMC --> Audit Function. The API references were sourced from the online Help site.
! Note: The examples are done completely using postman tool for testing. Qlik Support team will not involve in Implementation activity, any further customization or development should be carried out by End Users. Also contact the Account Team for consulting services. This API helps to get list of all accessible objects based on resource type, User Action and User. Hint: The details are fetched based on Action and Resource Type. So we need to understand when using this API on what basis we are auditing the details. For user qvservice what is the list of streams accessible with READ actions. Based on QMC audit he has read action on 2 streams. The same can be performed for other Resource Type. However, only one input can be passed as resource type for one request. For user qvservice what is the list of Apps accessible with READ actions. Based on QMC audit he has read action on 0 Apps. So the results in Postman Tool will be empty. For user qvservice what is the list of Streams accessible with Update actions. Based on QMC audit he has Update action on 1 Stream. So the results in Postman Tool will be empty. Description: This API helps to get the Audit Matrix of the resource selected with respective to Subjects (Users). If User filter is not used, it will list all the users with respective permission. Hint: For this API we need to use below Action properties table which will define the Body section parameter and what we get on the output dataset. Each actions the user has are represented as sum of codes from this table. Here we have enable all the privileges in QMC. If do not select anything we get empty results, the same applies when using APIs. Output Matrix: In below image we got a response with access = 259. Which means the user has permission to Create+Read+ExportData. To identify that sum the action codes we will get 259. Note: You can set default input Action value to 383 as default for all the API requests. For user qvservice what is the permitted action on selected stream “Everyone”. From QMC Audit: The user has Read and Publish access on Stream “Everyone”. From API: We need to identify the action with Action Property on the return dataset. Here in this example the Access code = 34 (i.e., Sum of the respective actions that user has permission Read +Publish = 2+32 ). Refer Action Properties table. From API: Since the user has only Read Access. The API will return access = 2. We have double check a lot of times the credentials and they are correct, but every time we log in that's the message we're getting. is there anything that need to be configured to allow the Hub to be accessed from mobile devices? Does anyone has an idea about how to solve this issue? Could be something to do with security settings on Android Device. Hi Rajesh, it also happens with an iPad (iOS 7.1.2), plus if I access the demo https://sense-demo.qlik.com from my Android device it works correctly. 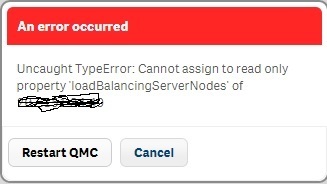 I think the issue is related with my Qliksense server installation. Could be to do with Authentication Type. If its Header Authentication and the headers could not be passed properly. See if you can change the authentication type and check. Well, I'm opening the Hub in the mobile devices and PC browser to access Qlik sense, I'm almost sure it is using Ticket Authentication (not Header) because that's what I can see in the Proxy Log file and I haven't set up any header authentication. Have been reading manuals but no luck so far. Do you have port 4245 open? What error do you see int he proxy logs? I was investigating the last days, our server has the ports 4245, 4246 and 4247 open but there are not processes listening to them; regarding the logs, I just tried the log-in, both tries in HTTP non-secure: the first try from a PC browser works (entry logs highlighted in green), the second try is done from an iPad (Safari browser) and it does not work (entry logs highlighted in red), please see file Log_20150210.xlsx and I'm also attaching a zip of the original files. If you have a Qlik Sense Maintenance agreement, I would open a Qlik support ticket for further investigation. I know there's a defect with HTTPS and IOS devices, but you are trying HTTP which I cannot figure out why it would work then? Thanks for your post, hernan.leon. So how can I access to my app by mobile without input the DOMAIN? Can you help us to slove this question? Hi Phung - do you have a support maintenance agreement with Qlik? If so, support should be able to help you. If not let me know and I'll do my best to assist. My company is not actual sign agreement with Qlik, because we are still testing phase. I hope you can help us to slove this case. Hi Phung - let me see how I can help - who is the Qlik Retailer? Thanks for your anwser, I have tried to delete the string "Windows" in Windows authentication pattern but it's still appear. Are the users attempting to log in windows users that are members of a domain or local windows users on the Qlik Sense server? If the former, is the Qlik Sense server part of the domain? If the accounts used are windows accounts on the local machine use %computername%\userid for the user name and enter in the windows password for the account. 1. 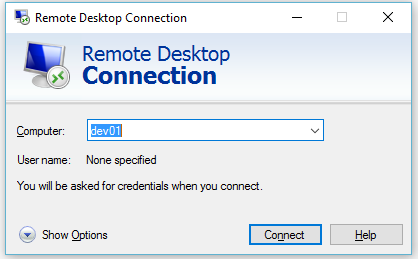 Create an Active Directory user directory connection and point it to the LDAP for the AD. Uncheck the sync box in the UDC configuration. 2. Sync the directory connection users. 3. Add a User Access rule in Licenses and tokens to supply users with tokens who are members of userDirectory=%domain%. 4. Attempt login and enter the %domain%\userid for the user name and the windows password for the account. 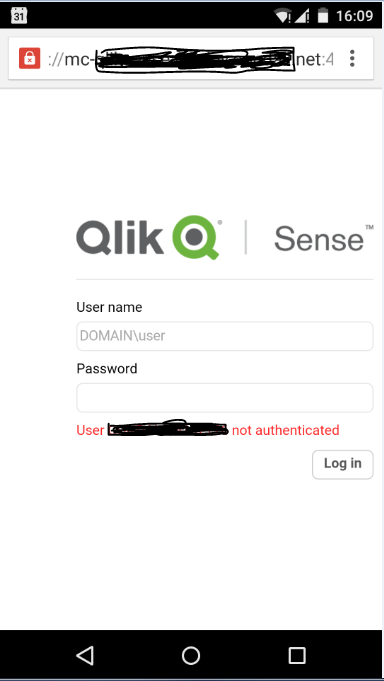 If users are part of an active directory and the Qlik Sense server is NOT a member of the domain, the mobile login page will not work to authorize users to Qlik Sense because there is no way to authenticate users first. As a rule, Qlik Sense does not perform authentication. In scenarios where windows accounts are used it's actually windows performing the authentication and using ticketing to authorize users to Qlik Sense content. If you are using an identity management system that is not windows to authenticate users, you have to employ ticketing, header injection, or the session module to authorize users to Qlik Sense. What this means is that the Qlik Sense mobile login will not work because the Qlik Sense mobile login page is designed to help facilitate Windows Authentication on mobile devices that don't prompt for credentials like a desktop browser does when an http 401 response is sent to the browser. Is that working on mobile . Because Qlik Sense determines domain automaticly (our server's using only 1 domain). So is that necessary to config Active User Directory. The problem we face is on mobile. How can we log in without filling domain like logging on web browser on PC ?? And how can we change our domain name (using computer name as Qlik Sense installation guide) ?? I get this error when I try to add an entry to the Websocket white list. have you guys encountered this before? running QlikSense on my personal computer works fine, I get this problem when I try to access from my iPad. that seems to be a security rule in-place that is preventing you. I had exactly the same problem in a test environment. In active directory - I added memberOf - Administrators to the Qlik Sense users and then it was possible to log in from iPhones and Android. Maybe there is another role in AD that works as well so you don't have to give them Administrator rights. But that is to someone else to figure out. If you are using only https in a test environment with self signed certificates you will se another error message. "Connection Lost". Solve this problem by open up http port. If you want to avoid the Sense log in page and having to type in a domain (nee user directory), you may want to look at alternative authentication methods like ticketing or header injection. In these scenarios you create your own login page and you can supply the user directory in code rather than requiring the user to type it in as part of their credentials. For an example of ticketing, I recommend the Access Control Test Module sample on Branch. All users need to have "log on locally" rights on the windows server hosting the web application which you can find through local security policy on the server. Users can login using Windows authentication fine without this being set for them but if they want to login using a form then they must have this right. I am also facing the same. You mentioned in your Question that, you have Internal and External dashboard and it working fine in desktop. So please help me to resolve my problem. I have created two dashboards (i.e Internal and External) created on two streams and published seperatly. There are two set of user groups one is Internal and one more is External. Qlik Sense vs Power BI, Tableau & QuickSight. On-Demand functionality contains Two apps called 'Selection App' and 'Template App'. You will find attached a tutorial explaning how to generate a CSR from IIS, sign the certificate with the private key and import into Qlik Sense Server. There are situations where you would like to know something from the system configuration (QMC) from inside of a load script, something like "Which custom attributes does my app have assigned?" Or "Which stream is the current app in?" I've seen the "bad" idea to connect to the Postgre repository database and read from the internal table structure. This internal structure may, and is likely to, change, so I would not build on this hack. The correct way to do it is to use the QRS API (Qlik Repository Service). In theory, the QRS API operates on the https port 443 as well as on port 4242. If you used the latter, you have to present the public key of the server certificate, which cannot be done from the load script. In order to use the 443, you need to authenticate as a privileged user towards the server - your best bet from the script is to use the header authentication (pass the userid via http-header) and this requrires the setup of a Virtual Proxy on the server by a QMC admin. We want the script to be able to query the QRS api, so we have to give it a new "door" to authenicate. Set up a new Virtual Proxy like this: There will be a static pseudo user directory which we call "APIUSERS", whereas the user id itself will be provided in a http-header. add the Server node(s) under "Load balancing"
link this virtual proxy to a Proxy in the "Associated Items". Note: We will have to come back to QMC/Users once again after making the first call using the header. You should get an answer like above in Json format. This means, you made it through the virtual proxy. A new user has been added to the QMC, namely the id "scriptload" (coming from the http-header) with the directory "APIUSERS" (coming from the virtual proxy setting). Go back to the QMC and provide the new user the Role "AuditAdmin"
Now you can also query some details about the app. Try the following request, before we finally go to the Load Script. -.../qrs/app/full should provide all information about apps, including possible tags. eq is "equals", don't use "=" which is a reserved character already used at "filter="
If this works fine, lets edit the app script. Go to the app's dataload editor and create a new connection of type "REST". You can expand the Json response tree and deselect what you don't need. Be aware that each tree branch, which expands, will become a separate script table, so be conservative with what to load using a "need to know" judgement. Until this point, the script is fully static. It only loads exactly this QRS endpoint and always load all apps. This will assign the app GUID to the variable. ,QUERY "filter" "id eq $(vAppId)"
Finally, I joined some tables to have only 3 relevant ones after this. ,QUERY "filter" "app.id eq $(vAppId)"
Qlik Sense comes with lots of resources security features like Stream and Application securities for user or group of users but when it comes to sheet security there is no document on community which will guide you to do resource security implementation step by step from scratch to end. My goal is to restrict an user to a particular Stream => application => sheet =>Chart( set of charts). There is nothing hard coded in Qlik Sense server, you can modify it anyhow by disabling the default rules and write your own custom rules. Security to MasterObject or AppObject is the deepest or bottom level security. Application: Consumer_Sales (Default application comes with installation of Qlik Sense Desktop) which has 5 sheets. AppObject: charts, dimensions, measures, stories etc. 1. 1. Install Qlik Sense server on your machine(Use a dedicated user as service user). Enable it with Qlik Sense Enterprise license, you will find two desktop shortcuts which are QMC and HUB. Please use local administrator account for installation. Avoid any other account which has administrator rights but not a local administrator because when you provide administrator privileges to any user, it will act like administrator but not become full administrator (some of the property remains pending). 1. 2. Open QMC with administrator (account you have used for installation) credentials and go to User Directory Connector and create a new connector, if there is Active directory is there in network, select add path of AD (active directory), => remove check sign from sync user data from existing users => click okay and click on SYNC button. You will see all the user will show in USERS tab. If you want to add local server users to Qlik, just hit the MachineName/HUB URL from the concern user and the same user name with machine name as USER DIRECTORY will appear to USER TAB in QMC. 1. 3. Go to Apps tab import your any application (.qvf file), I am importing Consumer_Sales(which comes by default with installation of Qlik Sense Desktop and quite familiar with everyone ). 4.1 Go to security tab and disable default STREAM rule, This stream says The user should see the resource if he/she has read access to the stream it is published to means if any user or group of user has READ access to the stream then user will see all the Application and AppObjects(All resources) so if we try to restrict any user to any particular application or App Object ,it will always let user to see everything which comes in the stream. So by disabling it we are taking all the access from user to see anything in stream by default. 2. 4.2 Create a new stream with name "Stream for Jarvis" then click on apply => It will give you a warning in yellow color for basic securities then click on cancel for not to apply any security rule or user at this time. 1. 5. Go back to Apps tab, make a duplicate of your application(We generally first make duplicate then publish to any stream because once we publish we can’t do any changes or development on the same application ).We will use the same application which was duplicated to new one for reload, Here I am making duplicate of Consumer_Sales app and renaming it to Consumer_Sales to Jarvis and publish it to stream Stream or Jarvis. 7. Go to Custom Properties tab, Create new with name StreamLevelManagment with resource type Stream and User and give any sample value like Assistant to it and assign to concern user(JARVIS) by going to USERS tab , select JARVIS and on right side you will find custom property option , click on it and then click on the space bar and you will see that sample value or what I took Assistant is appearing there select it and do the same exercise for stream(Stream for Jarvis) by going to stream tab. I am describing security rules in Basic and Advance mode both to be sure you will not confuse how to make rule in both of Modes. Now login with user JARVIS, you will find Stream for Jarvis. Note: In this document, I am not focusing on ACTIONS under security rules such create, delete, publish, change owner etc. You need to concern for actions when client ask for it like my first set of user ca edit or duplicate sheet and do self service and another set of user can't. Above rues says , user JARVIS can see Sheet type object and object is Budget Analysis. Now, login with JARVIS, you will see Jarvis see "Budget Analysis" sheet only. Important point: Above security rule will disable all the sheets and you will see only "Budget Analysis" sheet, it means those sheet which will be published by your Qlik site member in same application under community section will not be visible to you. Don't be so happy on this stage, JARVIS is restricted to only one sheet out of 5 sheets but when you open "Budget Analysis" sheet, JARVIS can't see any charts or objects and invalid object error message will be coming on the place of charts. 1. All the charts will be visible on that restricted sheet("Budget Analysis"). 2. You want to restrict your user to any chart particular chart and hide other charts to user(JARVIS). Let’s take all the objects (charts, filters) are supposed be visible on the "Budget Analysis" Sheet. By above set of two security rule this User1 or JARVIS will see all the sheets on which he has access. Now, user can see all the charts are visible. First mile stone has been achieved. Now, the complex one, what if your client say, I wana my user will restrict to a sheet or set of sheets but he or she can see only one chart on the sheet and rest of the chart will be invisible. If you can notice, Now I have taken concern all object Chart Name, Measure and Dimension which made that concern chart as resource.name. Now you can see JARVIS can view only Sales $ by Product Group (sorted by Budget $) chart and rest are coming as Invalid Objects. Important Note: Once you configured a Qlik Site for security every time whenever you add new user you have to give access for stream, application and objects(Sheets or Charts) in short need to update the custom security rules in QMC. New user by default can't see anything except STREAM if you add it to any stream as we do generally. After finishing Qlik Sense Enterpise , QAP(Qlik Analytical Platform) comes in picture which is for external users where number of users are in hundred and your client doesn't want buy hundred of token so QAP is the right solution which has core base licencing. When applicable please mark the appropriate replies as ACCEPT AS SOLUTION and LIKE it. This will help community members and Qlik Employees know which discussions have already been addressed and have a possible known solution. Please mark threads as LIKE if the provided solution is helpful to the problem, but does not necessarily solve the indicated problem. You can mark multiple threads as LIKE if you feel additional info is useful to others. Qlik Sense on AWS - Deployment Guide is a comprehensive document that explains step by step how to install and deploy Qlik Sense on AWS. O Catwalk é um projeto criado pela Qlik que mostra todo o poder das APIs abertas do Qlik Sense. Foi construído usando Enigma e o Qlik Core. A grande função dele é mostrar o modelo de dados de qualquer aplicação do Qlik Sense, seja ele Desktop ou Enterprise, usando apenas as APIs. Você pode baixa-lo para sua instalação Qlik Sense ou liberar a conexão com o site Catwalk. Quando você acessa o site Catwalk pela primeira vez, ele tem um tutorial que mostra as funcionalidades, dê um passeio por lá antes de usa-lo com suas aplicações. Nesse tópico vou mostrar como utilizar o site Catwalk conectado ao seu Qlik Sense Desktop e depois como configurar para acessa-lo usando apenas 1 clique. Abra o seu browser favorito. Adicione um Favorito ao seu browser, vamos chama-lo de Catwalk. Edite a url acrescentando as linhas copiadas. Clique no Favorito Catwalk, e verá seu modelo de dados inteiro, e poderá efetuar até a exportação de dados a partir do site da Catwalk. Comente abaixo o que achou !! One Directional Write-back demo: This scenario allows users to add notes/comments in the form of chat window to individual transactions within the app. This is a one way write-back where an external web page is collecting notes data from users within the sense application and writes the notes in an SQL(access) database. Userid, current selections & selected dimensional value is communicated to the external web page using URL parameters and these data values are written to SQL database along with the user entered notes. Bi-directional Write-back demo: This demo takes the first part (adding user notes) of writeback demo one step further by adding a workflow approval process. Approval decisions & notes are captured from users are first written to an external database and then used to move records up & down the approval steps within the sense app by feeding this data back in to the data model . In this scenario, users can route individual transactions through a 3 step workflow approval process. (Analyst -> Review -> Coordinator). An external custom web page allows qliksense data transactions to be submitted, approved or rejected based on their current location within the workflow process. Individual records(OrderIDs) will move up & down the approval process based on user decisions until they are finalized. Qliksense app stores the current workflow steps & the approval decisions within the data model where historical notes and previous decisions are fetched from the external database and displayed within the app as users select different transactions. Once a decision is made for a given record, web page will write these user inputs in to an Access database and will remove all input controls so no one can make additional decisions/notes for that record until the app data is refreshed via reload where record's approval decision value stored within the sense app is synchronized with what is stored in the external sql database. 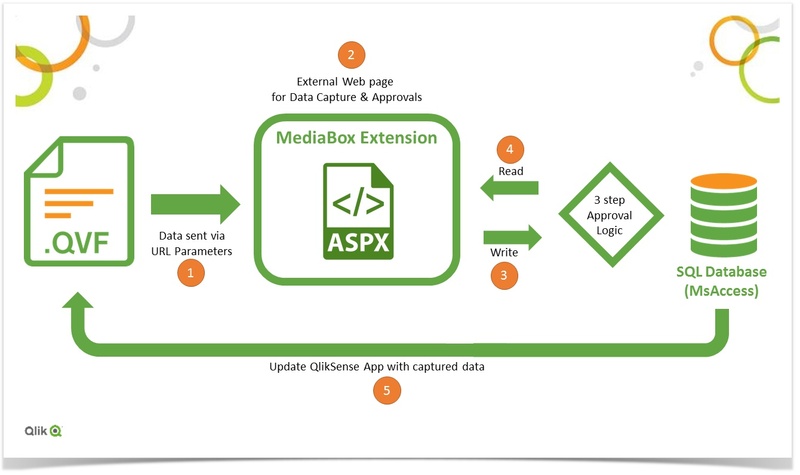 Demo setup consists of a sample QlikSense App using a MediaBox extension to display an intermediate aspx .net page for capturing user inputs in terms of comments and approval decisions as well as displaying them. Setup also includes IISExpress that can be triggered to run in the background to host the .net aspx page. Below Visual shows the inner workings of this demo. Current selections and selected transaction id is transmitted using a dynamic URL padded with parameters. MediaBox extension displays the dynamic URL which renders the custom web page. This pages displays previous decisions and notes for a given transaction and it also allows users to make approval decisions using buttons. Once a decision is made to either submit, approve or reject a transaction, the input is interpreted by custom business logic built in to the custom page to move the record up or down the workflow process by assigning it a new workflow step. This data is immediately written to an access database as part of the write-back process. New data is also used to refresh the page to display the new messages for the current transaction. Finally Qliksense task or manual reload button(extension) is used to reload the qliksense app which in turn refreshes the data model using the newly written data from the external access database. Once the reload is done, SetAnalysis filters are used to simulate moving records from one approval queue to another. Step-by-step guide for Setting up the demo. Unzip the file and place Qlik_WriteBack folder directly under your C:\ drive so 1-Start_Writeback.bat file is in the following path "C:\Qlik_WriteBack\1-Start_Writeback.bat"
Run "C:\Qlik_WriteBack\1-Start_Writeback.bat" file to start the IISExpress that hosts the aspx page. To show Bi-Directional write-back: Open Approval-Combo sheet and hold CTRL + Click on different ORDERID values in analyst table to enter comments and submit them for approval. Once you submit a few records, click on reload button or triiger a QS task to reload the app which should move those records to corresponding approval steps based on your decisions. A reload is necessary after one or multiple approval actions to visually see the transactions move within the qliksense app. To show one-directional write-back: Open the details sheet and hold CTRL + Click on different ORDERID values to see if any notes attached. Once a single ORDERID is selected, you add notes for that order by entering text on the right and clicking on SEND button. User name & Date stamp is added to each note. User name is Me for Desktop version but will use the actual QS username if you are using the enterprise edition. Trigger a reload using the Reload Extension or a Task. All notes and approval decisions are written to an ACCESS database using a MsJet OLEDB connection. One-directional sample notes from Details sheet are stored in COMMENTS table. Table includes notes plus another column that captures the users current selections when a note was posted. Multi-direction workflow sample notes and decisions are stored in Approvals table along with user's current selections. Find a sheet with some visuals where you can select unique dimension values such as InvoiceNo, Category or ProductName. Place a MediaBox extension on to that page. Set the following parameters for the MediaBox. Replace the [DimensionName] with column name that you would like to associate the user comments with. You are done! You just need to make sure to access the app via HTTP and run the 1-Start_Writeback.bat file before starting your demo. Edit RemoteHost.config file line# 159. Replace YourServerName with your machine name and save the file. Modify the MediaBox extension's Web URL paramater and replace localhost with the server that is running the IISExpress bat file. necesito que en una tabla me aparezca el total, pero filtrando un elemento que se encuentra dentro de la lista, como puedo hacerle. solo veo la opcion de total automático, debe de existir alguna opcion. tienen alguna idea?¿? alguien puede echarme una mano? While developing a dashboard in Qlik Sense, I came across a requirement which says that a particular table or columns of that table should be visible only after a selection is made on a different object. Example: A table consists of 20 dimensions and measures. When a user comes to that sheet, he should only see 5 columns from that table. There is a drop down object beside which shows the name of the remaining 15 dimensions/measures. When a user selects any of those 15, then that particular dimension/measure should show up in that table where it was hidden. This was not possible in Qlik Sense. But can be done with the help of an extension. I would like to share how I was able to meet this requirement using an extension. One can download Vizlib extensions and can fulfill this requirement. Instead of a normal QS table, I used Vizlib table and for drop down I used a Vizlib Filter Pane. Create an island table in the script and name the table as the name of the header you want to keep for the Vizlib filter pane. You may change the header name later on too. Bring all the field names you want the user to choose from the filter pane and store them in the island table. Once you reload the data, you can use the filter pane to pull in the field names. You may select Listbox, Dropdown or Buttongroup to show the fields in the filter pane. I always prefer Dropdown. Once you have pulled in the Vizlib filter pane, you may now go ahead brining the Vizlib Table. Pull all the dimensions and measures you want. For each dimension/measure, there is an option called Calculation condition. In the calculation condition, you may describe your show/hide condition. This would pop up the column in the Vizlib table once that column’s field name has been selected from the Vizlib filter pane. I hope that this might be useful to someone working on Conditional hide/show in Qlik Sense and also this would help in improving the performance of the sheet while getting loaded. These color changes can be accomplished by modifying a single value in the CSS (cascading style sheets). As with most changes, you should backup your original files before making any changes. In File Explorer navigate to C:\Program Files\Qlik\Sense\Client\hub and create a copy of the HUB.CSS file. Use your favorite editor to edit the CSS file. Note you will likely need to run the application as an administrator to save the changes. I used Notepad++ so you can see the line numbers and follow along easier. On line 25 change the background color from #F2F2F2 to #f8ecf2 and save the changes. By default your browser will cache the old CSS so you will need to use cntrl+f5 to refresh browser cache to see the new background color. I had some issues with Internet Explorer displaying the changes so I would recommend testing with Chrome. In File Explorer navigate to C:\Program Files\Qlik\Sense\Client\assets\qmc and create a copy of the QMC.CSS file. I used Notepad++ so you can see the line numbers and follow along easier. On line 5721 change the background color from #595959 to #dbb0b0 and save the changes. Note: If you wish to alter different portions you can use the developer tools in your favorite browser to determine which CSS sheet is control the look you wish to alter. Below is a screenshot illustrating how I located the correct section of CSS to alter in the HUB.css. I would like to thank Fausto Gonzalez for responding to my question on the community regarding this content! Qlik Sense February 2019 is now available! I am pleased to announce that the February 2019 Qlik Sense release is now available. The Qlik Sense February 2019 release includes design improvements, advanced authoring features, and our visualization extension bundle. This release also includes market leading mobile advancements. I saw recently this post about a very usefull and easy way to apply theme color in charts , map , gauge , crosstable and so on. using colormix1 or colormix2 functions to set a range of colors depending of data , mesures, dimensions .. and using variable to define rgb colors in one time. Thanks to ryy for this amazing exemple and sharing this App. following this example I take avantage of this app and complete it with 2 others sheets. First of them use variable button rather than imput text field to set color theme. you can change the default theme by changing in variable panel the variable vcolorchoice figure 2 by 1 for aqua and 3 for purple theme. second : in last sheet : set color theme by slider : by default the app open with predifined value in the differents sliders, so that charts are not displayed in grey. Over the last couple days I've been using the Qlik Sense REST connector to get survey data from SurveyMonkey. As far as I can tell, our organization does not have access to the dedicated SurveyMonkey connector, so REST needed to work. I found the process tricky, so I'm documenting the steps I took to get this working. Some of this material is specific for SurveyMonkey, but I hope that there may be some clues that are relevant for other connections. Whatever service you are using, you will need some kind of authentication token for your final connection. For SurveyMonkey this involves "creating an app". I'm not really making a SurveyMonkey app (whatever that is), but this process provides access to a token. In my case, because I have a paid subscription to SurveyMonkey, I can create a private app and get an authentication token immediately. If you have a free plan, you'll need to go through a more cumbersome process to get the token. Because reading is hard, I inadvertently went through the entire process for a public app - only to realize that it gave me back the SAME authentication token that I already had access to ! So, the good news is that I've seen this process work. You can unpack the downloaded zip file in your Program Files (or wherever) and then look for the executable file. 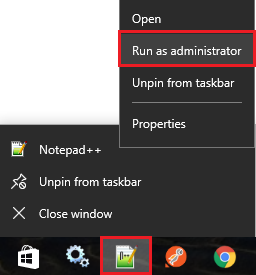 Run a command prompt from that directory (you can also put it in your path if you'll use it multiple times). You're now ready to talk to SurveyMonkey. First you'll need to create your app. Go to https://developer.surveymonkey.com/apps/ and "Add a New App". If you can make it Private, do it because you'll get your authentication token right away, if not Public works. When you've created the app, go to settings and you'll find a "Client ID", a "Secret", a "OAuth Redirect URL" and, if private, an "Access Token". You'll need this information. You should also set the Scopes, in my case I needed View Response Details (and some others), so I set this to "Optional". 1. Follow the link to get "short-lived" code. The short-lived code (which is a long alphanumeric string) will only be good for a few minutes, so copy it and get cracking... (you can always do this again to get another code, so no big deal). Now it's time to use cURL. Open up the command prompt and make sure you have access to the curl executable. Enter the following with all the information you've gathered (you may need to enter it line by line in the console). I suggest creating the full command in a text document, that way if you need to go through this process again (with a new AUTH_CODE), you'll be ready to go. Assuming you did this in time (your AUTH_CODE didn't expire), in the returned message from this post you'll get a response with a "YOUR_ACCESS_TOKEN" and an "access_url". I didn't actually use the access_url, but you might as well keep track of it. Now that you have your YOUR_ACCESS_TOKEN you can use it to establish the REST connection. Assuming that you want to get all of the responses for one or more surveys you'll need to find the ids for your surveys, set up a connection, and get the data. Now you should see a "data" array that has a list of survey names and ids. Copy down these IDs. Personally, I made a table with the name of the surveys I needed and their associated IDs. This can come in handy later for the app. In the "data load editor" of your Qlik App, on the right hand side click, "Create new connection" and choose "Qlik REST Connector". Let's first assume that you want to create a connection to a single survey to get its data. In this case use one of the IDs you collected in the the previous step. The URL you use should be the same as step one, but with the survey id and "response/bulk" added, for example, "https://api.surveymonkey.com/v3/surveys/SURVEY_ID/responses/bulk"
The Query headers tell the SurveyMonkey API service that you have valid access. So, you'll need to provide the access token (you don't need to do "Content-Type"). The Query parameters provide additional information to the API about what information you want. In our case SurveyMonkey defaults to providing 50 records per "page" of data. You can increase this by changing the "per_page" value to 100 (the max I believe). I also checked, "Add missing query parameters to final request", because (I believe), when we use pagination this setting makes sure that the per_page setting goes to every subsequent page call. May be unnecessary. Finally, for Pagination type, I used "Next URL". This tells Qlik how to make a request for more data because SurveyMonkey limits how much it will send at one time. (Note, there is a limit on API calls, so if you have crazy big data, this could be a problem). Now that you have the connection, you can click "Select Data" icon to determine what data you want. The response type should be set as JSON. Because JSON is a nested structure you'll need to un-collapse the root and other nodes there within to find the data you are looking for. The first time you may want to try gathering everything, and then look at the data model to see what you really need. Click "Insert script" to put the code into the scripting area. You can run it now and see what you get. What if you don't want to connect to the same survey every time, but rather want to adapt to the ids that you collected in the first step of this section? In step 2, you hard coded the ID into the URL, but there is a workaround. Edit your REST connector. Instead of using a URL with a hard-coded ID, just use "https://api.surveymonkey.com/v3/surveys"
In fact, I don't think it matters what we put here because we will override this value. The Url in WITH CONNECTION tells Qlik to look at this URL instead of the one defined in the REST connector. What's nice about putting it here is that the URL text string can be a variable. This way you can dynamically load a SURVEY_ID from a table. So for example, I created a variable called vURL that dollar-expands a variable storing the ID of the survey I'm currently interested in. If you have these survey IDs stored in a table you can loop through the table (for.. next), Peek at the id in the current row, set it to vID and then run the REST connector with each of the surveys. At the end of the day, this process was cumbersome but I learned a lot about connecting to APIs. Hopefully, the SurveyMonkey dedicated connector will be available for others, but this approach seems to work. Perhaps much of this is applicable to other connectors. Please feel free to give me feedback and comments. There are a few steps of this process that I don't fully understand, so if you have a different approach or can provide more detail, I'd appreciate it. First of all, thanks for reading! I found it is amazing to connect myself to people around the world and communicate with my writings. This page is indented to discuss best practices for Multi-Node Setup & Load Balancing primarily, You may drop your use case or problem in comment, we will provide you best possible solution instantly. Below content guide you to set up Multi-Node Setup & Load Balancing. Below content will help you to know technical terms, help you to ask question more preciously which will help us to provide solution more accurately. Business intelligence is an agile process, gradually BI solution changes and updates. Enterprise grows so are data and end users. When data grows and business logic gets complex, we need more resources to calculate the result and serve to users. Afterwards, Single Node (small) site performance decreases with time which could lay down the credibility and quality of BI solution. Multi node site is needed when we need a Qlik site(could have multiple Qlik servers ) where load or user and app usages are managed and systems which work as backup server, we call it Failover Candidate which takes charge in absence of central node automatically. Note: we can have multiple failover candidates in one site. There are certain parameter which help you to take decision whether we should move to multi node site or remain on single node. So below content is for such users who have made mind to upgrade their Qlik site to multi node. Central: which is controlling whole Qlik site. Since June 2017 we have installation setup of shared persistence where Apps and Repo data stay at persistence layer and both will be shared with other node (rim or child). Now why do we need to share Apps and Repo data with child or rim nodes? Next Question: what exactly we share to balance the load practically? Answer: Resources in Qlik site. Next Question: what will be achieved if we share the resources? Answer: Reduce the resource consumption while end users are accessing apps from one node i.e. central to consumer node (proxy service is must) and reduce the resource consumption and distribute it to scheduler node (scheduler and engine service is must) while any app reloads. You want one central and one consumer and one scheduler node. Ideally: Two scheduler and two consumer and central comes in best practice. Multi node site would increase your Qlik Sense site availability, how? We have a concept failover candidate, which is one of the scheduler node or such node which has all services and take charge automatically while Central node is down. We can manipulate the sensing time of failover candidate to central node in latest version. One important application is attached to article which helps you to review your Qlik site. If you have any concern over Qlik repository size, QLogs DB size or any component which is accessing excess size than expected, then download the app, import to your Qlik Sense, open it on HUB, there will be three connection which come along with application i.e. PostgreSQL_postgres, PostgreSQL_QLogs and PostgreSQL_QSR. Update password with your super user password of postgresDB which you entered during installation and save it. If your user name added as postfix after updatation of connections , go to QMC and make it as they were earlier. Please do above activities by RDP not from end user side. Reload the app and share it with me so I can review it. After utilizing above solutions, please post your queries in comment section what is your use case i.e. how many servers are available, how your user comes to site, network load balancer is available or not, reloads are executing on scheduler nodes etc. In general, multi node or load balancing concept is vast and vary with client to client, so I do believe you may ask question much better when you understand the right terms of Qlik, went through above articles and requirements are clear. Consider this resource as a open form where we all can post our queries on load balancing and multi node site.